Utah legislators just set a new record: they opened 1,341 “bill files” this year for new legislation as they hit the deadline for such action. The previous record was 1,298 — set last year. Even once the deadline passed, lawmakers were still opening more bill files — but had to seek special permission on the floor of their chamber. Senators, for example, asked and received permission to open four more bill files on Friday. “I’m not necessarily proud of it,” Senate President Wayne Niederhauser, R-Sandy, said about the new record. “I think it’s indicative of the intensity I think we’re feeling from our communities about the issues that are facing us. It seems to get more intense every year,” leading to more and more bills. (Scott Sommerdorf | The Salt Lake Tribune) Senate President Wayne L. Niederhauser, R-Sandy, during floor time in the Senate, Thursday, January 25, 2018. Last November, Utah legislative leaders discussed concerns about the ever-increasing number of bill requests. One unnamed senator had requested a towering 80-plus bills, they said. This is ridiculous, in my opinion,” House Majority Whip Francis Gibson said at the time. Senate Majority Leader Ralph Okerlund, R-Monroe, said he was talking to a legislator from Colorado on Friday. “Their session is 120 days. 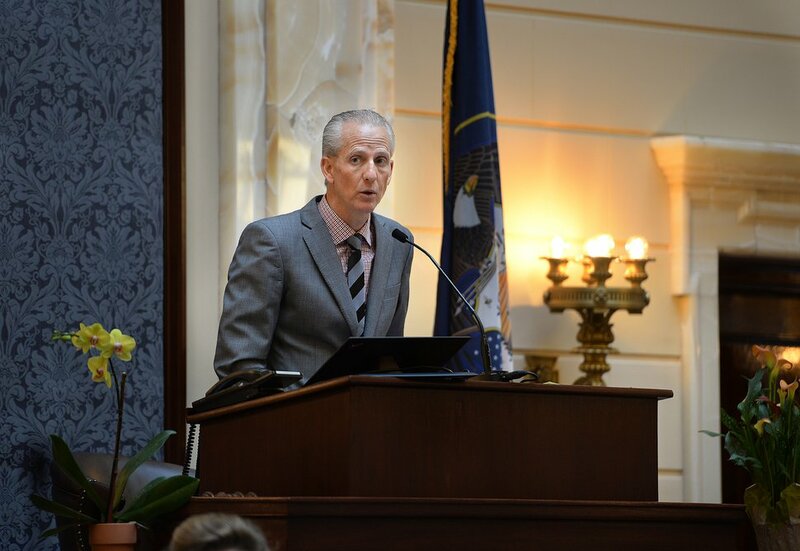 He says, ‘We just can’t get through everything.’” He said if Utah ever lengthened its session, lawmakers would probably feel the same. Last year, the Legislature passed a record 535 bills. The previous record was 528 in 2015. Last year, the average bill aged 17.2 days between its formal introduction and first floor vote — and 9.2 more working days until its final passage during the 45-day session.